Like most travelers, you probably do not fly with a carry-on bag full of cash. However, some people transport large sums of currency when travelling, for example, to the country of their native origin for use as gifts, for spending, or for investment purposes. Simply carrying large sums of cash for travel outside the United States is not illegal. However, transporting currency or monetary instruments over $10,000 must be reported or you are in big trouble. To report the currency or monetary instruments when travelling to a destination outside the United States, simply complete Form 105 obtained from the Department of the Treasury and/or the Bureau of Customs and Border Protection office. The completed form may be submitted to the U.S. Customs officer in charge at any port of departure. Federal law imposes strict penalties against those who evade currency reporting requirements by knowingly concealing more than $10,000 in currency or monetary instruments and transporting or attempting to transport such currency or monetary instruments outside the United States. These reporting requirements were enacted to stem the tide of money laundering and drug trafficking, which are illegal activities commonly associated with international travel and the transportation of large sums of currency. If a U.S. Customs agent has a “reasonable suspicion” that a currency reporting violation is occurring, then the agent may conduct a warrantless search. Just like a TSA agent has the administrative authority to temporarily restrict your movement and search for weapons and/or explosives that could result in harm to fellow passengers, so too can the U.S. Customs agent conduct a search for currency reporting violations. A reasonable suspicion to perform the search requires a “particularized and objective basis for suspecting” a violation of law. This type of warrantless search is permissible under the Fourth Amendment provided that the agent does not exceed the scope of the search and it is no more intrusive than necessary to determine the existence of a violation. That is not to say that law enforcement may search all passengers as a condition of boarding a commercial aircraft, because the search must be calibrated to a risk or justifiable need. In other words, TSA cannot read the contents of the papers in your carry-on bag, but it may require an electronic scan of your carry-on bag for air traffic safety. As a final thought, be sure to check the requirements of your destination country. Not all countries will allow entry to travelers carrying large sums of currency. 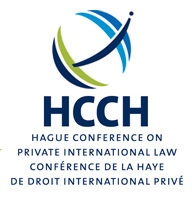 The Hague Service Convention – Service of Process in Global Litigation. Each day the nature and level of interaction among individuals and businesses becomes increasingly global in nature, and, as dealings become more international in character, the natural outgrowth is global litigation. Many such examples abound. Two German business partners agree on selling a luxury bus in a showroom in the United States, but the deal goes awry and while the vehicle is now located in Florida and becomes the subject of a dispute in a United States courtroom the defendant is to be found abroad. What if instead, your company entered into a business agreement with a Norwegian shipbuilding company but the purchased vessel is substandard and the purchase agreement allows for suit in the United States. Alternatively, your company reaches an agreement with an Australian national and an Indian manufacturing company for exclusive distribution rights of a certain product within the United States. A year later you learn, however, that a distributor located in Texas has been allowed to distribute large volumes of this product within the United States in contravention of this agreement. Instead, you may discover as a result of being sued that your former business partner in a real estate finance and development company has been diverting investor money for personal use, and you need to add him as a party to the litigation. The only problem is that he is a Serbian national who has returned to his home country. Finally, you are an attorney and represent an individual in a vehicular accident. Unfortunately, the driver who caused the accident is a tourist who returned home to France. Such examples may be found on a daily basis. In each instance, what do you do? First and foremost, you must have a grasp of issues relating to service of process abroad as governed by the Hague Service Convention. The Preamble to the Hague Service Convention clearly delineates that the purpose of this treaty is “to ensure that judicial and extrajudicial documents to be served abroad shall be brought to the notice of the addressee in sufficient time” and to “improve the organization of mutual judicial assistance for that purpose by simplifying and expediting the procedure.” Moreover, Article 1 of the Hague Service Convention provides that it applies “in all cases, in civil or commercial matters, where there is occasion to transmit a judicial or extrajudicial document for service abroad.” So, whether you are an individual or are acting on behalf of a corporation, if you need to serve a legal document in a signatory country, you must abide by the requirements of the Hague Service Convention. That is not to say, as pointed out by the United States Supreme Court in Volkswagenwerk Aktiengesellschaft v. Schlunk, 486 U.S. 694, 701 (1988), that the Hague Service Convention actually prescribes standards for determining the legal sufficiency of the actual service of process – instead, to do so, the litigant must refer to the internal law of the forum state. In the examples above, France and Germany ratified the Hague Service Convention as long ago as 1972 and 1979, respectively. Conversely Australia ratified the Convention as recently as 2010, whereas India and Croatia ratified it in 2006. The most recent countries to ratify the Hague Service Convention are Costa Rica and Vietnam, having done so on March 16, 2016. In the cited examples, the potential parties are located in contracting states. Setting aside jurisdictional questions in the analysis, if you intend to seek a judgment that you can then enforce in the foreign party’s home jurisdiction, you will need to ensure that your judgment was obtained through means that utilized valid service of process as recognized by the applicable foreign court. In applying the Hague Service Convention, though, keep in mind that the party’s foreign citizenship is not the deciding factor; rather, application turns upon whether service of process is to be made in a contracting state. Therefore, the Hague Service Convention does not apply where the foreign national or corporation or his/its domestic agent is found within a judicial district of the United States. In such an instance, the local governing rules of procedure would apply to the service of process. Where service is to be made in a foreign contracting state, attention must be given to Article 2 of the Hague Service Convention, which provides that each state is to designate a Central Authority “which will undertake to receive requests for service coming from other Contracting States and to proceed in conformity with the provisions of Articles 3 to 6.” Article 3 provides that a Hague Service Convention request form must accompany the document to be served and that each is to be forwarded to the Central Authority in duplicate. Article 4, in turn, provides that the Central Authority will advise the requesting party of any deficiencies with respect to the request. Article 5 of the treaty provides that the Central Authority will either serve the document itself or cause it to be served by means consistent with internal law or as set forth within the request, as long as the means requested are not inconsistent with the laws of the forum. The forum state may also require the document to be translated into the official language of the contracting state. Article 6 provides that the Central Authority shall complete a certificate corroborating service or delineating the reason[s] why service could not be accomplished. If served, the certificate will include the method, place, date of service, and the identity of the person to whom the document was delivered. The Hague Service Convention also provides for an alternate scheme of service, i.e., other than proceeding through the Central Authority. Such alternate means include, as set forth under Articles 8 and 9, effecting service upon individuals through its diplomatic or consular agents and/or consular channels. Further, under Article 10, it is clarified that the Hague Service Convention does not interfere with 1) the freedom to send the documents by mail or 2) the freedom to effect service through judicial officers, officials or other competent persons of the State of destination. However, Article 10 also provides that such alternate means may only be utilized if the State of destination does not object. The Federal Republic of Germany, for example, has filed specific declarations with respect to these alternative channels of service. Therein, Germany objects to service in its territory by foreign diplomats upon German nationals. Although U.S. consular officials may effect service within Germany upon U.S. citizens, generally they will not do so. Germany has also objected to service by mail or through a judicial officer. Moreover, Germany requires an official translation into German of all documents to be formally served. Ultimately, a judgment obtained in a U.S. court will not likely be enforced in a foreign state if service of process upon the defendant[s] was not effectuated properly. Thus, much time will have been spent and expense incurred in procuring a meaningless judgment. The Jackson Law Firm is experienced in assisting individuals and companies with such issues of international law as the Hague Service Convention, and with a network of foreign attorneys to whom we can refer you, should the need arise, your options to pursue legal claims in foreign jurisdictions increases significantly. By the same token should you need to domesticate and enforce a foreign judgment within the United States, we stand ready to put our experience to work on your behalf. We encourage you to explore our website – www.thejacksonlawinternational.com – to learn more about The Jackson Law Firm, P.A., the attorneys, and the firm’s practice areas. International Litigation typically presents the courts, attorneys, and parties with unique challenges that fall outside of the general experience of law firms that have not routinely handled such matters. Our international experience allows us to assist clients and other law firms in matters relating to the Hague Convention of Service of Process. The Jackson Law Firm, P.A. takes pride in its international experience, and looks forward to the opportunity to put that experience to work for its clients. Please do not hesitate to contact us with any questions you might have. Finding German attorneys and/or a German law firm to address your legal needs in Germany does not need to be complicated. The Jackson Law Firm has firm roots in Germany, inasmuch as the majority of its clients come from Germany and are pursuing legal recourse in the United States. In the course of representing both German individuals and German companies, our law firm has developed strong connections with German attorneys and German law firms throughout the Federal Republic of Germany. These connections, in turn, have resulted in more and more individuals and companies coming to us to help them pursue their legal matters in Germany. We are able to assist in the sense that we bring together these individuals and companies with well-regarded German attorneys and German law firms throughout the Federal Republic of Germany. Typically, we are asked to remain involved on the U.S. side in order to facilitate the representation by the Germany attorneys and German law firms of our clients. 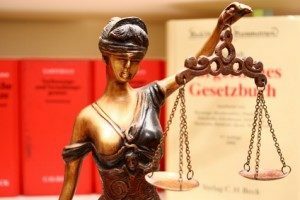 If you are in need of pursuing a legal matter in Germany, and need a competent and trustworthy attorney anywhere in Germany, please contact us to discuss your matter. Frankly, the same can be said for the German-speaking countries of Austria and Switzerland, as our network in those countries is also fairly established. We encourage you to explore our website to learn more about The Jackson Law Firm, its attorneys, and the firm’s practice areas. Our international experience allows us to assist clients in international matters, and the firm looks forward to the opportunity to put that experience to work for you. Feel free to contact us via email to discuss your matter.